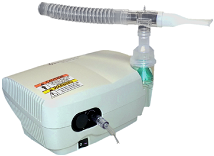 The Salter AIRE Elite™ is a lightweight, portable, quiet compressor for powering aerosol generating medication nebulisers. 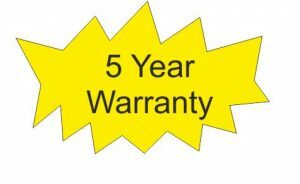 It is engineered for long-term durability and cost-effectiveness. The flow outlet fitting, fresh air inlet filter and rocker-style on/off switch are recessed to protect from accidental breakage. There is a convenient built-in hand-grip for easy transport. 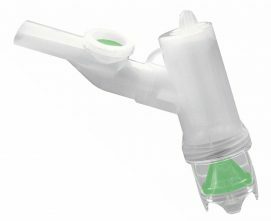 A unique, tip proof nebuliser docking port is built into the case which will accept most medication chambers available on the market today. An optional handy travel bag with extra storage for nebuliser kits is available, making this machine equally suitable for home use. We also supply a range of Nebulizer Kits and accessories for the Salter Aire Elite™ Compressor. See below for details.